NEW! Please refer to my Find My iPhone FAQ for the answers to some frequently asked questions (especially before asking a question in the comments). Always use the passcode lock: Settings > General > Passcode Lock. This is the most basic of security features, and probably the one I also recommend the most. Most people tend to store emails, contacts, SMS, calendars, and all kinds of other info on their smartphones. In the event your phone is lost or stolen, you’re going to want to ensure that a random stranger won’t be able to get access to your personal information. Set Simple Passcode to off so that you can set a passcode with more than four digits (I recommend five or six). I also recommend setting it to Auto-Lock after 1 minute. Update your iOS devices: Keep your iPhone or iPad up to date by reguarly applying updated in iTunes. This will ensure you have the latest security patches, and fix bugs such as the numerous lockscreen bypass issues. Set a SIM PIN: Settings > Phone > SIM PIN > On. This is probably one of the most underused security features (which exists on any phone), and prevents someone from removing your SIM card, placing it in another phone, and making unlimited calls. [Optional] Erase Data after 10 failed passcode attempts: Settings > General > Passcode Lock. This feature allows you to make sure that someone won’t be able to brute force their way into your device. After ten attempts, the iPhone/iPad will erase itself. This one is up to you, as it does create two potential problems. Firstly, it could allow someone with enough time to erase your device (annoying); and secondly if the device gets erased, you won’t be able to track it. I still recommend using this. [Optional] Set a Customised Lockscreen Image: Create a custom image for your iPhone’s lock screen that displays your contact details in case someone finds your phone (and is honest enough to return it)! Don’t give too much info, but your first name and an alternate contact number will do. You can also put in your email address, but I don’t recommend doing so if it reveals your full name, or company name. I’ve thrown together an iPhone Lockscreen Generator to help you create your own lockscreen image. [Advanced] Use the Apple Configuration Utility: Apple provides a free iPhone Configuration Utility (Mac) that allows you to set higher security requirements. These include a longer passcode, less attempts (5) before an automatic wipe, and other security settings. This tool is normally used by Enterprise users to configure company phones, but advanced users may be interested in looking at the options provided. Next, find your device’s Serial Number and IMEI Number (phones only), and write them down somewhere (not on the device), as you may need these at a later date. The IMEI is a unique number used by GSM networks to identify valid phones, and can be used to block lost or stolen devices (this is explained further down). On iOS you can find these in Settings > General > About. On any mobile phone you can get the IMEI by entering *#06# on the phone’s keypad. On a privacy side-note: If you enable Find My iPhone on your device, remember that anyone who can gain access to your iCloud account will be able to see where you are. If you ever want to disable Find My iPhone, you can do this in: Settings > iCloud > Find My iPhone > Off. If your device is lost or stolen when this is setting is off, you won’t be able to track it. 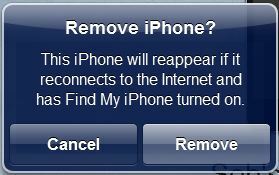 Disabling Find My iPhone will also allow a thief to restore your phone without needing to know your iCloud credentials. So, you’ve gone and lost your iPhone, or had your iPad stolen. Well done! Now we can have fun trying to get it back. First of all… if it’s your phone, have you tried calling it? If it’s a shiny iPhone 5S, chances are this will happen, unless you’re really lucky. Stay calm, I’m here to help! If you’ve followed the steps above, you should be able to geolocate your device. For this to work you will need to hope that your iPhone or iPad has an of internet connection (3G/4G or Wifi). As you hopefully tested in Step 2 above, log in to Find My iPhone to see where your phone is. 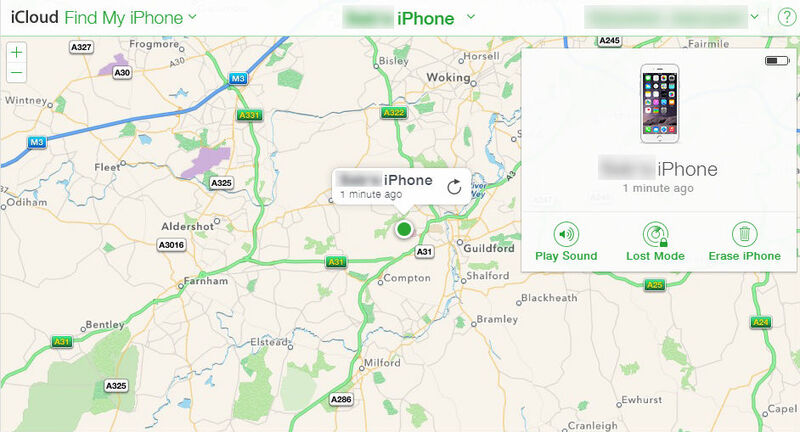 If you’re still in a bar and your device has just gone missing, or you want to be able to stalk the thief, you can install the free Find My iPhone app onto another (friend’s?) iOS device. At this point you can try to track down and confront the thief yourself (not recommended unless you have backup) – or – file a police report and get them to go pick it up for you. 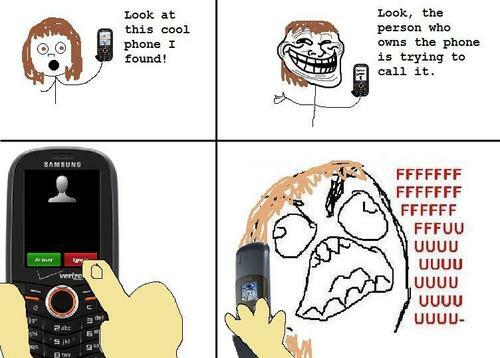 You can also send messages to the phone to try and convince them to return it. If you can’t track your iPhone on the first try, keep trying, as sometimes it may be out of signal range or out of power. Try putting your device into Lost Mode. A thief will probably need to plug the phone in prior to restoring it, so if you’re paying attention you may be able to get his home location just before your phone is erased! You can also get Find My iPhone to send you an email when your device is located! Note that the device’s location will be available in Find My iPhone for only 24 hours (presumably for privacy reasons). Check out these stories of a guy who recovered his phone, and another who recovered his car, using Find My iPhone. Step 4 – Recovery Failed: What Now? 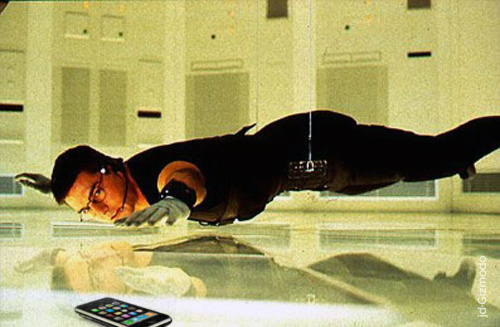 So now your iPhone’s been missing for a while, and you haven’t been able to track it down. The thief may have turned the phone off, erased it or removed the SIM card. Or the thief is in another country, and you’re getting no help from the authorities (and don’t want to get it yourself). At this point tracking is unfortunately no longer an option, and many people give up. Do not despair, for there is yet hope! If, for some reason, you didn’t set a SIM PIN, the first thing you’ll want to do is inform your phone provider/carrier to disable your SIM and potentially save you many dollars of calls. Next, file a police report and give them your device’s serial number and/or IMEI. Thieves occasionally get nabbed with a whole bunch of stolen stuff, this way they’ll be able to return your device to you. You may want to consider wiping your device to ensure that your personal data does not fall into the wrong hands. You can remotely wipe your device from within Find My iPhone, but note that once your device is wiped, you will no longer be able to track it. If you’re a corporate user and your iPhone/iPad is configured to sync with Exchange, you can also remotely wipe your device through your Outlook Web Access (OWA). Simply log in, click Options in the top right, then Mobile Devices in the left-hand menu, and finally select the device you want to wipe and click Wipe All Data from Device. If you had Find My iPhone enabled, then you can rest easy knowing that a thief won’t be able to restore and use your device, effectively making it useless, as this would require knowing your iCloud credentials thanks to a feature called Activation Lock. iPhone and iPad thefts have already dropped significantly worldwide (as much as 50%) thanks to this feature. The final step, to be taken when you’re pretty sure your phone will never return, is to disable it so that it will be useless to anyone else. In some countries can give your carrier your phone’s IMEI, and they can blacklist it, essentially rendering the phone useless (nice paperweight though). At that point if you do manage to get your phone back, however, you won’t be able to use it as it’s not possible to remove a device from the IMEI blacklist (to my knowledge). Note that not all carriers in all countries are willing to add devices to the blacklist (the US recently introduced a blacklist). I hope that this article will help at least one person to successfully recover a lost or stolen device. If you know anyone who may not be familiar the ways they can protect themselves, I encourage you to share this with them. If you have any questions please feel free to post a comment below, but first check out the FAQ! 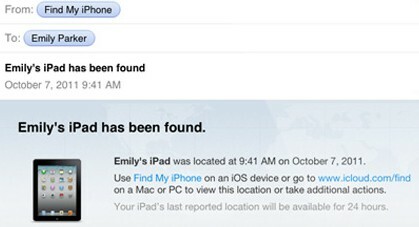 [Updated 10/05/2011] Locate Lost or Stolen Macs with ‘Find My Mac’ in Lion and iCloud! Ok, I set the SIM to lock, now how do I unlock it? You will normally only be prompted for the SIM pin when you put the SIM into a new phone/device. If your question was regarding removing the SIM lock, you can just set the slider back to Off. In surfing tonight for best practices to secure an iPhone and iPad, I found your post here. You seem to have created the best, most current assessment I’ve found anywhere, so thanks. That assessment is from an experienced LAN geek. I’ll be doing what you suggested including the iPhone config utility. Is there an analogous iPad config utility? Unsolicited advice: it might suit your checkbook that you could identify yourself in your “About” page. But if you didn’t I’d understand it because I also appreciate your politics. Just take heart there are many more of us around than you might think. Even among us backward Yanks. i lost my iPad today without doing any of the things you mentioned about protecting it. now i feel “naked” because whoever got it can just read all my email and documents in it. how many attempts of the code (4-number code) will the person do before everything is erased? I can let go of the iPad but the documents that are confidential is what I do not want the person to access. I do know if i had the no.4 of Step 1 mentioned above. all i did was place a 4-digit passcode. If you configured your iPad to erase itself (Settings > General > Passcode Lock > Erase Data), then 10 failed passcode attempts could cause the device to wipe itself. If you didn’t turn this option on, then the attacker would have to wait longer and longer between passcode attempts, until the iPad would be temporarily disabled until it is synced with the computer you last synced it with. At least you HAD a passcode lock on it! Some people don’t even have that. If you’re lucky, the person won’t bother, and will simply restore the device on their computer. Ok, now my brothers ipad is lost and turned off and cannot recognize by the find my iphone app because it’s off. Any ways on how to do it please help me i need my brother’s ipad. Sorry to hear abuot your brother’s iPad. Unfortunately there isn’t anything you can do if the device is off. You just have to hope it gets turned back on. All I can recommend is that you monitor Find My iPhone closely in the coming days/weeks. I did steps 1-3 before losing my wifi-only iPad. But the passcode lock means I won’t be able to use Find my iphone because whoever finds my iPad won’t be able to unlock it and connect it to any wireless networks. If they connect my iPad to their computer, they can reset it and disable the passcode, right? If they do that and then start using the iPad would Find my iphone still work? Indeed they won’t be able to use the device in order to get it online, so Find My iPhone functionality won’t work. If they reset it, then all the data is wiped (essentially a new iPad), so after that there’s no way to track it unfortunately. i have a question that i need answered if you can help. my iphone is in recovery mode and seems to have no imei or iccdi number and will not recover from itunes. it keeps telling me error 1611 which i beleive is some sort of security error. i have tried most things but am running out of things to try. Error 1611 may indicate a hardware error. This lack of IMEI number supports this theory. Make sure you’re using a known good iPhone/iPad connector cable, and have fully updated iTunes and Mac OS X (if on a Mac). Unfortunately I haven’t come across that error, so I can’t be much more help. If you can’t figure it out, consider dropping by an Apple store if possible, or use the official Apple support forums. Keep an eye on Find My iPhone and hopefully it’ll show up. Also report it to the police if you have the iPad’s serial number. I just said to keep an eye on Find My iPhone in case they haven’t reset it. If it is reset, there is nothing you can do. If you give the police your serial number and by luck they happen to find it (thief gets caught/raided), then they’d be able to return it to you. The police does not have the ability to track iPads either. Super informative article!! I thought you might also mention PREVENTING theft. There are plenty of devices available that can secure your ipad from theft in the first place! For those of you looking to secure your personal iPad or an entire classroom set of iPads, I found http://www.ipadcart.info to be really helpful in locating the right security product. Thanks for the tip. I’ll consider adding some additional preventative steps, but I try to keep to things that people can do for free. If anyone wants to recommend any good anti-theft apps, I’d probably throw one of them in. I cant find my ipad and i have a code and find my ipad, but it just says i am offline. it has been saying that for about a week. does that mean it is dead or what? is that a sign i will probably never find it or what. im only fourteen and im scared that ill never find it and my parents will kill me. i have done nothing but pray that ill find it all week. pray for me too. I’m assuming it’s a 3G iPad. If your iPad has run out of power, or it is outside signal range, then it won’t show up on Find My iPhone. If it is lost and someone else finds it and plugs it in, then maybe it’ll start showing up. If it’s simply lost under your bed and out of power, then it’ll never show up! No it is not 3g. It is a school issued Ipad, I think I left it there. The fact that it is offline is that a sign someone wiped it or does that just mean its probably dead? It is most likely just dead. Well if all a person needs to do is factory reset the iPhone/iPad then that renders Find my iPhone useless! This seems to be a serious flaw! Been keeping an eye on my account but as of yet no luck and not holding out for much either if all they need to do is reset it! You’re assuming that everyone is a thief, and that all thieves have the technical know-how to immediately go home and wipe a stolen iPhone/iPad. Find My iPhone is particularly useful if you’ve lost it, or if it’s just been stolen (ie. you can track it before the thief can reset it). As thieves go, your standard opportunistic thief will usually just try to sell it off as-is asap, and probably won’t bother with trying to reset it. It’s not really a flaw, otherwise anyone who purchased a second-hand phone would be worried that its previous owner might be tracking them. Any chance that you can access location info after 24 hours? I didn’t see the email in time, and my stolen phone was located. Crazy enough I logged on to icloud just before the 24 hour mark and took a screen shot of the map. But I wasn’t zoomed in enough to get an exact location. If I could access the location again, I might be able to report it. Or would it be a good idea to report it with the zoomed out view? According to Apple they delete the stored location after 24 hours, so I severely doubt you’ll be able to get it back. My suggestion would be to go to Google Maps, zoom to the same point, place a marker at the same point shown in Find My iPhone, then zoom in. Find My iPhone is often only accurate to a general area anyway, so you should be able to get a very good idea. For example: depending on where it is there may only be one house/building at that location once you’ve zoomed in. 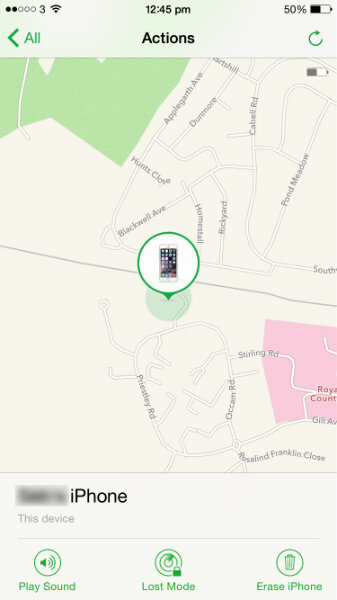 It seems that stolen or lost iphones could be recovered more quickly and efficiently if you could turn on the device and find my phone remotely. Could this ever be a possibility ? Indeed that would make things a bit easier, but would create more problems than it solves. It would require the phone to not truly be off, which would be a battery drain; it would also be a major privacy concern. Also, it would still be possible to do a factory reset of the phone, unless you tie the serial number of the phone to a particular iCloud account (again more privacy concerns). Ultimately I severely doubt you will see this kind of capability being made available. To me theft of your iPhone is a serious privacy concern. Capacitive discharge technology, dedicated ram battery etc technologies could power the phone even if the main battery were dead.. Factory reset should be just that a reset initiated only by the factory. Yes you may have to tie the serial number IMEI to I Cloud. My Iphone stolen, I have pin lock on, can the pin be cracked ? No, the there isn’t currently an easy way to crack an iPhone PIN. If someone tries the wrong pin too many times, the phone will be locked out, and can only be unlocked by connecting it to the computer with which it was last synced. If you had your company’s Outlook mail synced to the phone, then you should be able to perform a remote wipe of your iPhone from within Outlook Web Acces (if you have access to it), otherwise your Outlook/Exchange admin may be able to do this. My iPad was stolen. It has a pass code on it, but find my iPad is not working. Can someone plug it into their computer and set it up as a new device? Can you report your serial number to apple to find out if anyone is trying to register it again? This question’s been answered in the comments a number of times already. Yes, anyone can perform a reset of an iPhone or iPad on their own computer, and there’s nothing you’ll be able to do to track it in that case. No, Apple won’t accept any kind of lost or stolen device reports. Following your advice, I have entered a PIN code for my iPhone for the Passcode and also for the SIM. Since this means that an honest person would not be able to access any information in the phone in order to return the phone to me, I entered all my contact information and also the information of who to contact in case of emergency into a Word document on my Mac. Then I used command, shift, 4 to make a screenshot of the info. I copied the screenshot to my photos on my Iphone, and set it as my wallpaper for Lockscreen and Homescreen. So if lose my phone, if it is found by an honest person, they have the info to return it to me. If a dishonest person steals it, then they are thwarted by the PIN codes. I just did this. If anyone can see a flaw in what I did, let me know! I may add some tips around how to do this to the article. I lost my iPhone 4 at Disneyland (on a ride) this past Thursday. I went home and tracked it via iCloud. The weird part was that it gave slightly different locations the whole time, but always on the track of the ride which led me to believe the phone is trapped on the car I was in somehow. But honestly, I could not find it. I have remotely (via iCloud) placed a four-digit security code on the phone, sent a signal and a text message telling who to call to return the phone. And I have it set to email me if it’s powered on. Here’s my question: say someone does find the phone but wants to keep it. Let’s say they pop out the SIM card before powering it up. Will the phone still send me its location? And will I still be able to track it? Or is it then lost forever? The phone battery is obviously dead now and, I believe, still stuck in this ride somewhere. Is there any way at all to ping the phone and get a new location? I’ve been on the phone with Disneyland lost and found and sent them GPS images, but magically, they can’t find it. But now I’m wondering if someone found it and took it. Thoughts, suggestions, comments… all welcome and appreciated. Even if they swap the SIM, your phone will still be synced to your iCloud account. So if it can get internet access via WiFi or the new SIM, then it will still be trackable. Once it’s out of battery, however, there isn’t much you can do. Your best bet is to keep contacting Disney (it’s possible it fell to the ground somewhere). Give them the device’s serial number if possible. I had my iPhone stolen and I immediately blocked it and also the via my network provider. I was unaware I could have icloud on the 3GS. I have a pass code but only the simple one(I wish I chose the 10 attempt 1!) I would like to know whether it could get unlocked so the thief could access my data? It’s likely a thief will end up locking your device before they successfully guess your pass code. What do you mean by the last sentence? Locking the device? Is there a way it could be jailbroken even if it has been locked by the provider and gain access to data? One last question, can you factory reset the iphone? Because if that’s possible I would love the thief to do that! Thank u and look forward to the reply back! If you read the quote from Apple’s support page you’ll see that the device will lock itself out if there are too many incorrect PIN entries. A thief is most likely to factory reset the iPhone anyway, as that’s the only way to use it or jailbreak it. Another security feature is engraving your name on the device and address. nobody is going to want to take an item with somebody else’s name on it! My ipad 2 was stolen 5 days ago..yesterday i tract my device using icloud find my phone but it says no device. any hope for me? i thought i lost my ipod, so i requested a wipe, i just found it, and turned it on, i totally forgot about the wipe, is there any way i can recover all my data? The wipe functionality is not intended to be recoverable, so no. If someone resets/restores your iPhone or iPad, you won’t be able to track it anymore. Whoever got it will be able to see all your info. Your best hope is that they decide to wipe it themselves. Not in the U.S. as far as I’m aware. All you can do it reported it stolen to the police (and possibly AT&T), but I doubt either will be able to do much from a technical standpoint. That said, I have read rumors that AT&T can block a phone based on its IMEI in some circumstances. reset it and plug it into itunes will apple be able to see that its my ipad via the serial codeand report the police? If your iPad is reset, it will still have the same serial number. That said, as far as I know, Apple do not report anything to the police. can i tract my ipad thru icloud once they start taking pictures? You mean if you have Find My iPhone disabled, but Photo Stream enabled? That’s an interesting one. If they take pictures with Geotagging, then you would be able to find out where those pictures were taken. So, if they take a picture whilst at home for example, you could find out where that is. A while ago I just got back my imei and serial number of my iPhone 3GS which was stolen from me 3months ago. By the way I’m from Cebu city Philippines. I bought my 2nd hand iPhone from California so it does not come with the usual box from apple. I have been looking for the serial number and I just can’t find it on the iTunes. Just a while ago while syncing my iPad for the first time I just click and click until I saw the device tab and of where I also found my iPhones serial and Imei #. I know it’s been a while since I was being hold up. I wanna know if I can still recover it or what can you suggest for me to do. First, mobile me was not activated, not even the find my iPhone. What I only have is dat a passcode. Right now I am installing find my iPhone in my Ipad2. My question are, can this possibly help me locate my iPhone using find my iPhone app in my iPad? Secondly, if I can’t recover my iPhone can I have it block ( like it cannot be used by anyone). Please help a hope arise as soon as I got back the serial. I just don’t know what to do and when I google it, ur blog appears to be giving helpful tips it’s just that I can hardly read because most of your words are being covered with color black unless I zoom it 4x then I can read it. Sorry it’s kinda long but I really hope you can helped me out. If you didn’t have Find My iPhone set up, then unfortunately there isn’t anything you can really do. I don’t know if the Philippines does it, but you can try reporting your IMEI number to your carrier, and sometimes they can blacklist it so that the phone can no longer be used to make calls. I’ll refer you to the FAQ, but short answer is: if an iPhone or iPad has been restored, you won’t be able to track it. I have lost my Iphone, and the thief has switch off the phone, change a sim card and erase everything….. I can’t find it back from the app, do you think I could still find it back or should I buy another phone??? Your question is answered on the Frequently Asked Questions page. I urge everyone to read it before posting a new comment. In the scenario you describe, it would not be possible for you to find your phone. You may want to get a new one. but what about if I give them the IMEI number?? Is it possible to change the IMEI number?? If you give your carrier IMEI number then (depending on country), then they may be able to blacklist your handset. They probably won’t be able to track your phone with it though. It is possible to change the IMEI number although it’s illegal in most countries (not that criminals care). but i heard my friends say…. the apple can track the phone and find it back once the phone switch on with a new sim card…… and can you teach me how to change the IMEI number?? You can track your iPhone if a new SIM card has been installed and the phone is turned on ONLY if it hasn’t been erased, and ONLY if you had Find My iPhone enabled. Apple on their own can not, and will not track your phone for you. My sister lost her iphone this evening. When we are calling it, it is switched off. She did not have Find My iPhone app in her phone, neither has she noted down the serial number or the IMEI number. Is there any hopes for us to find it? Is there any other way at all to track it down? Please refer to the Frequently Asked Questions, as your question is answered there. Short answer is no, you won’t be able to track it down. yeah well, I figured as much. I had my iPad taken a few days ago and I’ve not been able to get it wiped. It’s really stressing me out as I can see when the thief opens my emails. He recently looked through all my tax returns. I bought it from the Apple Store and had a pay as you go Sim so 3G haven’t helped me. What can I do, pls help? I’m hoping you’ve read through the FAQ which I’ve linked to in the post and in the comments already. If you did not have Find My iPhone configured then you won’t be able to track and/or wipe it. I hope you’ve already cancelled the SIM that’s in the iPad. Since you seem to know that the thief is reading your email, the only thing I can suggest is that you send yourself an email with a link to a secret webpage you set up (mention something about credit card numbers in the email). If the thief clicks on the link, and you look at the server access logs, then you should be able to get the thief’s IP address. With this in hand, you can go to the police who can then request the thief’s address from their ISP (if he’s using the iPad on his home wifi, or using his own SIM card). I know that this isn’t something that’s easy to do for someone without that technical knowledge. If you know someone who’s geeky/good with internet stuff and understands what I’m saying, maybe they can help you set something like this up. Good luck, and let me know if you end up trying this option! Don’t forget to secure your devices in the future! I didn’t mention it because I thought it was fairly obvious, but if you don’t want the thief to continue reading your emails you should change your password. Note that if you do, you won’t be able to use the trick I mentioned above. I lost my iPhone a couple of days ago. Yesterday and this morning, the Find My iPhone feature located the phone at my home address, but now it is showing “old location” and saying it located the phone 3 hours ago. I really do not think the phone (which is in my purse) is at my home, because I have searched high and low and usually keep the purse on a hook by my door. I think it’s more likely I left it at a restaurant or on another errand the other day. The location messages are making me question this, though. Is it possible that the phone ran out of battery after I lost it and that the “Find My iPhone” feature was reporting an old location even when it was saying it located the phone? If it says it located the phone 3 hours ago, and that location is shown to be at your home, then I would be inclined to believe that. It don’t think it would be showing that location if it weren’t indeed there at that time. You should’ve used Find My iPhone to make the iPhone ring an alarm, which may have helped you find it at home. It’s probably run out of battery now, but you may want to have another look around your house! Best of luck. Hi, I just want to add info here if coz if iphone/ipad was lost and have a passcode, finder who’s a little tech savvy might be able to get your info such as pictures, notes and text messages by backing up the phone and restore it to the same device or another device right? I noted this when I restore my ipod in my office computer for the first time w/ backup, all the pictures that was taken from ipod and notes came back. so I hope this helps by reminding everyone not to put personal/confidential info in their notes or private pictures or video, emails and others that require password to access are easy fix by changing your PW, this is so long as you have a passcode/pw to open the device or otherwise goodluck and pray that the finder will not be so nosy to dig your data. And also when you find a lost devices and ur an honest person, don’t return it directly to the owner as my friend did this and was accused of stealing and almost got punched, better way to do it is to bring it to the police station and have them pick it up or have someone with you as backup and meet them in a safe place. just an advise from experience. I also had a problem with “found three hours ago”. I tested out “find my ipad” this morning, It worked. Then I left it in my car (fully charged) My son took my car. I signed in again to locate it and it said “located 2 hours ago. It won’t update it? Maybe it didn’t have signal in the car? Otherwise it should update it, I’ve never had a problem with it not updating. i had my iphone stolen and couldnt retrieve it ,didnt have the find my phone set up on it.i got a new iphone and need help setting the program to my phone .also am i able to retrieve the purchases i’ve made back to the new phone and my pictures? OK so lastnight my Iphone 4S was stolen. Everything on it, my whole life gone!! Its coming up as offline on Icloud, my number is blocked but they have oviously just removed my sim. Sorry to hear about your iPhone. I hope you have a backup either in iTunes or using iCloud Backup. Technically if they haven’t restored your iPhone, it could still appear if they put it on a wifi network. But ultimately your phone needs SOME way of getting online for Find My iPhone to work. I just had a quick question about my iPhone 4 that I lost last night. I have iCloud and Find My iPhone, however I’m pretty sure the phone has been turned off because the device shows up as “Offline”. It is currently on 3G and hopefully will be turned on soon. The problem is, while playing around on iCloud today, I pressed the button “remove device” because I wanted to try finding my mother’s phone (just as a test). I didn’t realize that all you had to do was “Log Out”. Before I pressed “remove device”, I had sent my phone a message and email to myself in hopes that it would send once the phone was turned on. So the question is, once the thief turns my phone on, will I be able to relink to my device and be able to see the location? As you can see, it clearly implies that once your phone is turned back on, it should reappear in Find My iPhone automatically. Keep an eye on it and hopefully it’ll come back! i had lost my iphone on the train, and i try to use icloud but it keep display offline. i am so rush n sad because i had 2000+ of my baby boy since he is 2year old and now he is 4year old, and i keep calling for help from apple alot of time and those but they are just wasting my time because they keep tell me doing the same thing and wait. i can say that icloud is still not stable yet. they making this app to attact more people to buy iphone. 3day and now i still praying that i can get back my iphone. Sorry to hear about your iPhone Chris. To be honest, iCloud’s Find My iPhone actually works very well. The reason it’s not showing up for you is either because a) it’s out of battery, or b) someone restored your iPhone. Did you not have iCloud Backup turned on? If you did you could just get a new iPhone and restore from the backup, and it would redownload all your photos. If you had Photo Stream turned on, it would also have a copy of your photos. i lost my ipad last sunday and i have the apps Find my iphone i dont have a lock code but i send a message and lock code thru find my iphone but it seems that it didnt work and i try to track it many times but it looks like that the one who saw it on the mall still not using it.. i have a question is there possibility that that one who saw it restore the ipad in the computer thats why i cant track it? hey my ipod got stolen today and i have a passcode on it but never turned on the tracker. can i still find it? @juvyann: I’m not quite sure what you’re saying to be honest, but yes, if they’ve restored your iPad, you won’t be able to track it. @levi: If you never turned Find My iPhone on, you won’t be able to track it. Very very informative blog SJ. I have read almost all of the comments and FAQs. My iPhone 4s was stolen a fortnight ago, I have sent messages but its still going offline. I assume my phone might have been restored (which makes it untraceable). I suspect one of my house mates has stolen it. I am not 100% sure. Now I have come to know that he’s going back to his country (Tanzania) He can use it over there? Is there any way that phone be traced or beep on airport security terminal if restored? I have not reported the IMEI number, yet. What do you suggest? PS : I know I have behaved abnormally but my Iphone was all my fun. I am a student, I had bought it with my savings and I don’t afford 100 quids as excess for another one. Wait a tiny bit with the IMEI, just in case it does turn up somehow. If you haven’t gotten in back in a few weeks, then report it (if your carrier does that). If you have insurance on your 4S then you’re lucky, 100 pounds is worth it to get a new one (if you can somehow gather up the cash). I’d recommend going down that route. Hello, I’m sorry if this question was previously asked or something (i didn’t have the time to read all the questions), but my iPod touch was stolen yesterday :( and i was just wondering if the thief could access the information inside it? Like the contacts, notes etc.? I have a passcode by the way. However, i don’t remember configuring on the settings for the information to be deleted after a certain amount of time. So is that security setting automatically put into any iPod? A normal thief won’t be able to read any of your data if you have a passcode set. Even if he tries to brute force it (ie. try every combination), it will get locked out. That said, someone with with the necessary technical knowledge, and access to specialised forensics tools would be able to brute force it and gain access to the data. Chances of someone doing this is probably slim, unless they’re specifically targeting you and your data. Chances are, your phone will get restored, deleting all your data in the process. Thank you :) One last question, is there anyway i can delete or wipe all the info stored in my iPod touch? By the way, i don’t have any of the apps aforementioned installed on my iPod. If you didn’t have Find My iPhone/iPod set up, or your iPod Touch wasn’t set to synchronise to an Outlook server, then no, there’s no way to wipe your iPod. wait, im confused. does the find my iphone work for ipods? Hi SJ I’ve read through all the questions and have one myself. My iPad was stolen recently without ant security attached to it :-( so I’ve done everything I can ie report to police, contacted my data supplier changed passwords etc. However I have a number of apps connected to Facebook and other social networking sites. Can the thief continue to access these apps with the people I’m connected to even when I’ve changed all passwords? Also my data supplier advised me that they can set up a 4 digit password lock remotely, which I have taken up but I wondered if they really can do this as I have not read anywhere on the number of sites I have visited that this was possible. Looking forward to your advices. If you didn’t have any passcode then yes, the thief can access any of your apps. If you change your passwords on those sites however, some of those apps should stop working (remember to do your email too). In fact in Facebook, remove access from your iPhone by going to Account Settings > Security > Active Sessions, and then clicking “End Activity” next to where it shows your iPhone session. I’ve also never heard of a data supplier being able to remotely lock an iPhone. They definitely don’t have any access to your device, so it sounds suspicious to me. Thanks for ur response but I am referring to an iPad. Am I right to assume that your response is also applicable to my iPad? I spoke to some people about the locking of the iPad but this could be in relation to locking the sim would this sound more realistic? Thanks for your advice in relation to disconnecting Facebook app. someone stole my iPhone and ive pretty mcuh given up hope that ill find it because the only security feature i had on was the 4-digit lock code. But i was wondering, since ive never synced it with a computer what will happen when it gets to that point where theyve had too many failed attempts? & about how many failed attempts does it take for them to get to that screen? oh & one other thing, what will happen after that. will all the memory ever be erased after time? I already previously answered this question here. i had actually read that question and comment previously but thought maybe it be a different answer. like something more exact. But my main concern was that i had never synced it with a computer. So does that mean that theyre forced to reset it in order to use it? Correct. If they lock the device, they’ll need to reset the device in order to use it, as they won’t have a computer too sync it to. Hi I forgot my passcode and my iphone has now gone into a disable mode after imputing the wrong code after so many attempts. I have never synced it with a computer, will i lose all my data when I coonect it to itunes? ( phone says connect to itunes). PLEASE HELP! I recommend connecting it to iTunes and see what it suggests. I highly doubt that your data will get wiped. Syncing it with iTunes may just unlock it. In any case, have you been using iCloud backup to keep backups of your phone? Sorry to hear it. You’re probably going to need to restore your phone (look up DFU mode). Unfortunately this means you will probably lose the data on the phone. Is this the only solution? Is it likely I would lose everything? I’m afraid so, if you haven’t backed up to iCloud, and you don’t have any iTunes backups, then there isn’t much you can do. The disabling is there to safeguard your data from thieves/attackers. Ok thanku for your help. What do I do if I never had “find my iphone” installed on my phone in the first place and I’d never lost a phone in my life until now? I called the telephone company AT&T to disable the sim card, but is there still a way to track the phone down with the serial number? Your question is answered in point 2 of my Find My iPhone FAQ. Unless you backed your phone up to iTunes, or used iCloud Backup, there’s no way to get your picks back. Although if you had Photo Stream turned on, and have a Mac synced with the same iCloud account, you should also have the same photos. can an ipad be trace through the serial number? Since I can’t trace it because it’s offline. Is there anymore option tracing it , like through the serial number? I mean Can an Ipad be trace through its serial number? Your questions is answered in point 7 of my Find my iPhone FAQ. To everyone, please read the aforementioned FAQ and all comments posted here before posting one yourself. I don’t enjoy repeating myself. I had my iPhone 4 stolen a day ago. I know I had find my iphone installed however, I am not sure if I had it turned on. When I log onto I cloud I see my device however, it says it’s offline. Does this mean find my iPhone is on and it will work as soon as it is connected with wifi or 3G? My ipad2 was stollen so my question is If you cancel ur at&t monthly plan for Ipad2 can the thief reactivate it? @kks: it sounds like it should work, but that depends on having Location Services turned on as well as having Find My iPhone enabled. @Thanh: No, if you cancel your monthly plan a thief cannot reactivate it. Is it common that police return recovered iphones? @oc, really depends on the country. @Azzie, if you bought your iPhone from Apple (or even your carrier), you may be able to ask them what its Serial Number is. Also, if you still have the box, it will be on there. But without Find My iPhone, you won’t be able to do any tracking. Looks like this thread is still active so I’ll add my comments in the hope that they will help. 1. Security first – Passcode Lock is an absolute must, it’s your first line of defence. Then the Erase Data option. Finally ensure that the Find My iPhone option is available from iCould.com. There is nobody who cannot afford this protection. 2. SIM lock – this is where I could have gone wrong, because your number is your ID and I was just lucky my thief was too stupid to use the SIM for profit or sabotage. 3. If you live in a built-up area then the location feature of Find my iPhone is no good. The chap in my local police station went onto Google StreetView at the location my phone was and showed me how many flats (apartments) would fall into that area. They were not interested. 4. Finally it appears not to work with iPad. My old one has been awaiting wipe for 5 days, the new one is not recognised as online even though it it is less than 2 inches from the laptop. Hope this helps. Password Lock is your absolute must, but never expect to retrieve a stolen device unless you’re in a small community where your local policeman knows all the residents. My younger brother found an iPad 2nd gen 3G (Verizon) on a shopping cart in the parking lot of a Walmart. Instead of him going into Walmart and reporting it or giving it to the police, he decided to keep it and see if he can find out who the owner is and contact him/hert to return it. The iPad was locked, but the pictures were accessible by the photoframe icon on the lock screen, so he was able to see pictures of what he thought was the owner. He tried pluging it to his computer to see if he could access anything on the iPad that would help him identify the person and itunes displayed the name of the iPad, and happens to be a name of a person. He used his facebook account and did a search on the name, and luckily he found the owner, the name and the pictures found on the ipad matched what the person had on their Facebook account. He sent the person a few messages to inform that he found the ipad and to contact him to return it. This was about a month or so ago. Now, because the person hasn’t answered, he is thinking of keeping it. I don’t think it is a good idea, that he should either turn it in to the police or get rid of it. I even offered to buy him one just so that I can sleep at night, thinking that maybe if he uses it on his WiFi they could still somehow trace it. I surely would not be able to sleep at night, so I am concerned about him. I know that you have mentioned that if the ipad is restord and never tries to activate it with verizon, that it would not be able to be traced, but I’m still concerned that there might be another way, that maybe now it would be traceable, or that apple could notify the previous person if he uses his appleID on this ipad. Do you think that if he decides to keep it, it is safe for him? He’s not a little kid, so it is not like I can just take it away from him and tell him not to do it, but then again he is pretty much convinced that he can keep it and use it with no problems since he already attempted to contact the owner but gets no response. I’d rather buy him one as a gift (his birthday is coming up soon) just so that at least I can sleep at night not thinking that one day he could be watching a movie on it from netflix and then all of the sudden police come in knocking on his door and gets arrested, even though he did not “steal it”. An interesting dilemma indeed! Congrats to your brother for his effective use of the information at hand to find the owner. That brings me to the ‘legal’ standpoint: I have to note that I’m not a lawyer so none of this constitutes legal advice, but there are two aspects from what I can see. First, he has tried to make contact with the owner. It’s strange that they wouldn’t reply if they lost an iPad, but maybe they’re on holiday, or just don’t check their Facebook that often. If he wipes the device, and a few days/weeks later the person gets in touch with him asking for it back, then they’ll be happy to get the device back, but might be extremely unhappy to have lost any sensitive/important data that was on it (ie. family photos that were taken with the device). Some unhappy people like to sue… particularly in the U.S… just sayin’. Not knowing how long ago your brother found the device and subsequently contacted the supposed owner, my only recommendation can be to hang on to the device for now, keep trying to make contact (try LinkedIn? ), and if he hasn’t heard back in a month or two then at least by then you would be able to show that you made a reasonable effort to contact the owner to return the device. One last thought I just had is to get in touch with Verizon. Using the SIM ID, they should be able to find out who the owner is. They probably won’t give you that information, but may be willing to help get in touch with the owner for you. Thanks for the quick response. My brother doesn’t have linkedin, but I tried under my account and found a few people with the same name, however, none with a picture that looks like the owner, and since the owner’s account on facebook is limited to only the picture and some basic info, none of this info can be matched with any of the linkedin account that don’t have a picture. I have also sent messages to the owner to their Facebook account, but no replies. We can’t post to their wall, so we are sending them to their private inbox, my guess is either she is not realizing that she has messages in her inbox, or she is ignoring us, but can’t understand why she would, if I knew I lost something and someone, out of nowhere, tells me they found it, and happens to be where I think I left it, I would contact them back right away (specially for such an expensive electronic, it’s the 64GB 3G!). We didn’t see any activity on the person’s account for over a month since we first sent a message, and then one day that we checked, the owner became friends with one person, which made us think that she can and has checked her facebook somehow, but can’t figure out why she would not contact either one of us. I tell my brother to give it a little more time. He’s afraid to go to verizon and ask them to contact the owner in case she reported it “Stolen” instead of lost and then he’ll get blamed for it disappearing, he’d rather return it to the owner in some anonymous way, or else keep it if there is no way of the iPad being tracked if he restores it. He doesn’t just want to turned it into the police in case that the person didn’t file a report, he’s heard of cases where the police never do anything to return the item and the item is just “lost” between a pile of lost and stolen articles in some room and not being used, he’d rather keep it and take advantage of the find instead of having it go to waste (or someone else keeping it). I guess I’m just a bit concerned that if the person does not contact us, that he’s going to keep the ipad and he might be in some kind of danger of getting caught and blamed for stealing. If what you are saying is true, that if he wipes it clean there is no way of tracking it, then he should be ok, I’m just worried about what if something could happen. so if it is reset there is no possible way to track it? If the iPhone is blacklist, it no longer possible to make call. But it could still be possible to use de WiFi, right? In this specific situation, is it still possible to use Find my iPhone on a Blacklist iPhone connected with wifi? Ou, finally a new and relevant question! That’s correct, as the GPS unit and Wi-Fi triangulation still function normally when the device is blacklisted, if the phone is connected to a Wifi network and has internet connectivity, you’ll be able to track it using Find My iPhone! Thanks for answering. If my phone has not been restored yet, it looks like WiFi is my last hope before “accepting” the loss. But the thief has probably already restored/cracked the blacklisted phone by connecting it to a computer. Is there any possibility to be sure if he did so or not? If the computer he uses to crack/restore is connected to the internet, can I track my iPhone? I read through a few posts and am still a little confused. Someone broke into my house yesterday and stole my iPad (64gb 3g). The sad part is , I did not have a sim in it. It also had a security lock and was backed up on iCloud. My iPad still says “offline”. Is there anyway i can track it ? I don’t even know if its been restored( after 10 wrong password combinations). I wanted to know if he could still be tracked using the iPad when he’s online? I would be grateful if you could help. Ok i didnt have password protection on my phone. Shame on me. WIth that said my phone went dead when I got to a theater tonite where it got lost? WIth that said, if i remove senstive information from my MAC computer which it automatically synchs will the data be removed on phone even though it has a dead batter? @NC: There’s no way to know for sure if a thief has restored your phone, and if so you won’t be able to track it anymore. @kangana: I don’t think you’ll be able to track your iPad as it has no data connection. @arleenmoo: No, changes made on your Mac do not sync remotely. And nothing can be done at all if the phone is off. ..that magical Connect to ITunes…? Why WE, as ITUNES users, do NOT have that choice? Why? Just yesterday after buying and applying screen protector for my iPhone- i went to the arcade to play some games- during the time i was seated on the game of choice i had- i unknowingly was surrounded by people instructing me what to do(step on the pedal twice to make the run faster… though i already know how it was done but keeping my eye on the game and not on the phone- that was so much unexpected… i played another game until i realized it wasnt on either my bag or the paper bag. i got noticed by the crew and allowed me to state my statement i just realized what really happen on their Closed Circuit TV, I was shocked on that…. after some few hours i was worried and decided to go back to the center where it was captured…. with their CCTV record- i took a photo of the mastermind that if ever i meet up maybe one of these days or their crew maybe. 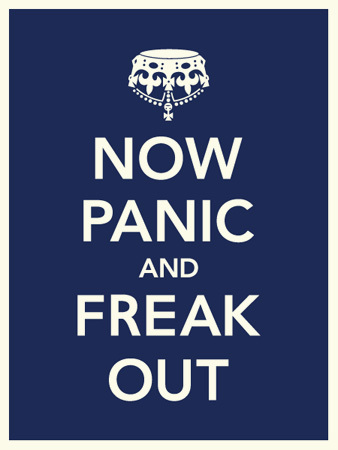 Either our side may be alarmed with it. Thanks for super article…. I understand some new security apps now take photos of the thief andbsend to linked devices? Do you know the name of the app. my mother have lost her ipad and unfortunately it does not have a passcode nor does her “find my ipad” is turned on..
is there any way to track it? Dear All, I just got back from holiday & we left our iPad on the plane in the seat pouch in my son’s seat who was playing Minecraft on the way back… anyway in spite of noticing we had left it within 10 mins of getting off the plane Thompson said the plane was locked & we couldn’t get it back, surprise, surprise it never turned up in lost property at Luton…. Luckily we had setup a pin code – also everybody reading this should enable under settings–> iCloud–> “find my iPhone/iPad”. In IOS7 there is a new feature called Activation lock which will prevent someone erasing it & restoring it to factory settings without first entering your apple ID password…. so without the pin code or this password the device is useless to them…. Claiming on home insurance for a new iPad…. I lost my iPod 5th generation a few weeks ago, and I haven’t found it yet. I guess someone saw it and stole it. I had everything (or so) on your list, but I disabled them because I thought I would never lose it. I disabled the four-number code because I was too lazy to always do the four numbers. So… do you have any idea how I could retrieve it? I lost my iphone during a party. Will find my iphone be able to track the thief if it’s taken to another country? I lost my iphone during a party.Is it possible for find my iphone to locate the thief if it’s taken to another country? I lost my phone 5s three months ago. I lost hope and erased my phone from cloud. Recently police recover my phone and handed over me. So what I need to do to workable again. Its showing lost message set by me earlier. Would u please let me know how I fix it again. It is a shame that most of this info is just for the iphone. What do you do if your Ipad was stolen in a different country and you didn’t have the find my iphone device in place? What can they access (email passwords, etc.)? I’ve been looking for this info but all advice just talks about the iphone. What happens when the Ipad is stolen and you know you will never be able to retrieve it? How do you protect yourself? i left my iPad Air 2 in the waiting room of Gate 75-74 of the Mexico City int’l airport about 15 minites ago. AreoMexico has been ubale to find it. i have the serial number and an iPhone 6. can I disable the iPad? it’s KL again. my flight number is 2086 to Veracruz.